Utility trailers are one of the most overlooked dangers on the highway today. These types of trailers are designed for general use and are usually towed by a motor vehicle. Recreational travel trailers, horse trailers, small box trailers, and van trailers are all examples of utility trailers. The danger arises when utility vehicles are not well marked or when they become unattached from the towing vehicle. Our Hometown Hero, Ron Melancon, has first hand experience with the potential hazards of utility trailers on the highway. In May of 2003, Ron rear-ended an empty, steel-mesh trailer. The trailer was so low-slung and transparent that he could only see the truck towing it. Although Ron was encouraged to just pay the fine, he decided to pursue the matter further by conducting his own research regarding trailers. Ron discovered that only trailers over 3,000 lbs. fell within the federal guidelines which require reflectors at the “extreme rear-end of the trailer.” Further research proved that inadequate reflectors were only part of the problem. Many trailer accidents, some resulting in deaths, were caused by faulty safety connections and/or failure of safety chains between the trailer and the car or truck. Armed with this knowledge, Ron approached his Delegate, John Reid, who agreed to sponsor a bill requiring all trailers to have reflective tape or reflectors, providing the necessary depth perception. With the help of State Senator John Watkins, House Bill 429 passed the General Assembly and was signed into law in April, 2004. Ron didn’t stop there. He looked to address accidents caused by faulty safety connections and/or safety chains. He again crusaded vigorously to urge the Virginia legislature to require suitable strength safety chains or similar reliable devices, to accompany a trailer (even if it weighs less than 3,000 lbs) being pulled by a car or truck. This requirement would prevent these trailers from becoming missiles directed toward on-coming vehicles. State Senator Watkins agreed to sponsor the new trailer safety bill. Because of Ron’s tenacity and solid support from Senator Watkins, SB 646 was signed into law on April 11, 2010 by Governor Bob McDonnell. This bill provides that all registered trailers must be provided with a locking device that prevents accidental separation of trailer and vehicle. You can learn more about Ron’s work at www.dangeroustrailers.org. Because of Ron’s tireless efforts, our highways are much safer for our families to travel. About the Authors: Courtney Van Winkle is a Richmond car accident attorney with almost 20 years of experience. 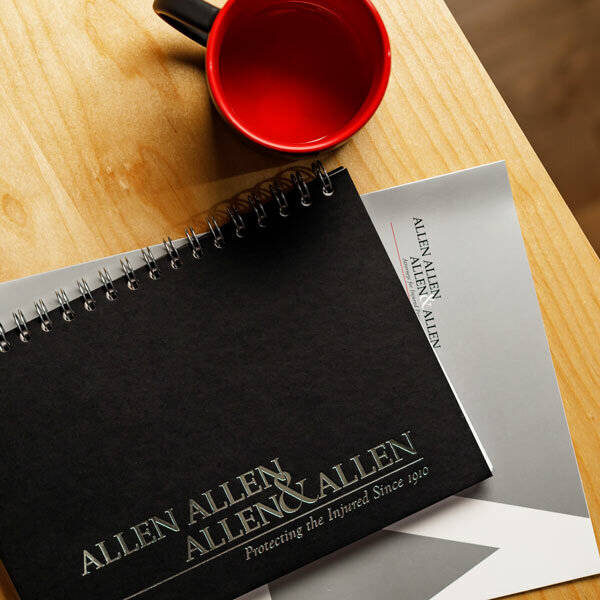 As a partner with Allen & Allen, concentrates her practice on accidents involving cars, tractor trailers, brain injury and wrongful death claims.